Today was the first Sunday that Mr. T and I had at home in about two months. 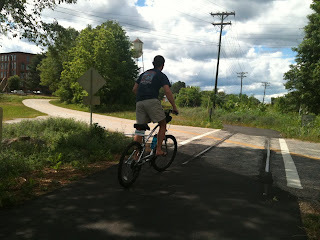 We decided to make it really worthwhile by riding downtown via Greenville's Swamp Rabbit Trail. We rented bikes for the day through Reedy Rides, a great bike rental company that I would highly recommend. For those of you who aren't familiar with the Swamp Rabbit Trail, its a 13.5 mile former rail line that has been paved for walking, running, biking, etc. It runs from Traveler's Rest through downtown Greenville. Reedy Rides made it so easy for us to get our bikes. They deliver them to you, and when you're done you just lock them up at the delivery site and they pick them up. 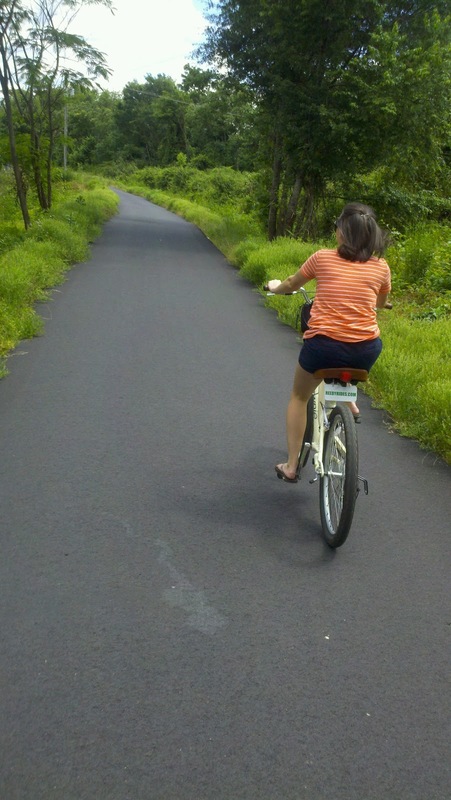 It's really affordable too, we paid $15 per bike for a four hour rental. SO worth it. 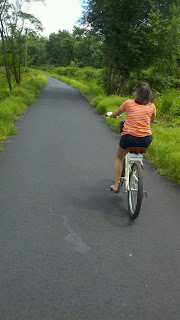 Once we got our bikes, we hit the trail towards downtown which was only about a 15 minute bike ride. 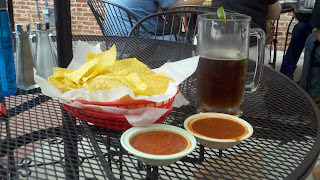 The trail put us out in the West End district, so we pedaled over to Compadre's on South Main. 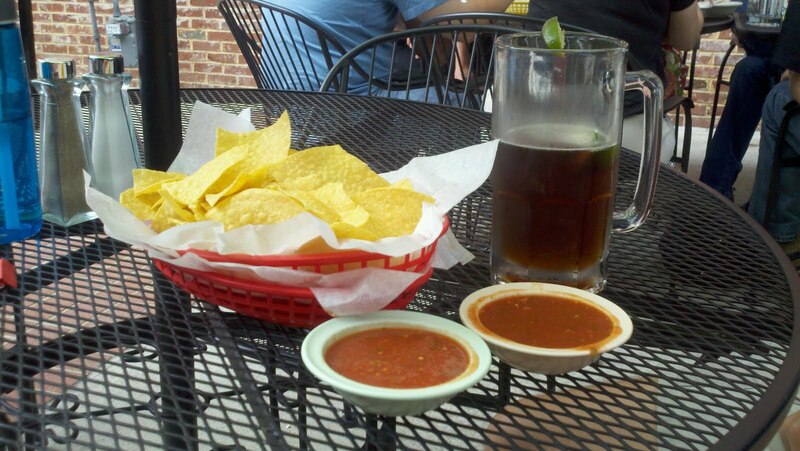 We sat outside and each had an afternoon beer and some chips and salsa. They've got a great outdoor seating area located right behind the Greenville Drive baseball stadium, so we got to hear the baseball game going on too. After our nackies (a.k.a. snacks), we got back on our bikes and rode for a little while longer toward the Travler's Rest area. All in all I think we covered about 15 miles, and had an absolute blast. The trail is so interesting. There's always something new to look at as you're riding through, including the five foot black snake we spotted in a creek by the trail. We had such a great experience with Reedy Rides, and would definitely use them again. After such a great day on the trail, we're probably going to start saving for our own bikes, but in the meantime we'll be using Reedy Rides several more times. That sounds like so much fun! What a great way to spend time together and enjoy the gorgeous weather! I love the Swamp Rabbit Trail! Love the pictures and fun idea for a day off Laura! Hope you and T had a blast! What a cute idea! I'm going to tell my Greenville friends about this!